I don't know whether, how or by whom Barclay's was advised in what's now being billed as 'banking's tobacco moment'. But I do know that it appears that lack of objective 'outsider' advice over how to handle the LIBOR scandal has both compounded negative fallout and provided a(nother) scary confirmation of how far off course an entire industry can steer when it loses sight of accepted moral touchstones. As the tentacles of the LIBOR scandal multiply and creep ever outward to implicate a growing number of major financial institutions worldwide, there's a lot to be learned from some media coverage of the event. 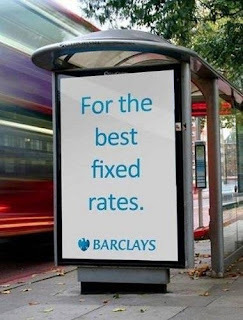 In some reports, the focus is not so much on the innate perfidy of the offence itself, but Barclay's (and the regulator's) failure to anticipate the outraged public response to exposure of its illegal activities. In these stories, the attention has been very much on the bank's responses to being sprung, rather than the moral dimensions and practical fallout of the rate fixing itself. The behaviour of the bank has been described in terms such as 'mis-steps' and 'being caught flat-footed', because neither it nor the UK regulator, the Financial Standards Authority (FSA), were 'banking on the furore' that would ensue. Both were guilty of 'badly underestimating public opinion'. Other reports chew closer to the moral bone. 'The Economist's' headline from 7 July, 'The rotten heart of finance', pretty much says it all. In this piece, the sheer 'everydayness' of the recalcitrant bankers' behaviour is highlighted. The fact that those involved appeared so cavalier about their own wrongdoing is chillingly reminiscent of analyses of some of the worst of human behaviour, what we might term 'the banality of evil', the phrase coined so famously by Hannah Arendt in her observations of Adolf Eichmann's trial. 'The Economist' piece goes on to look at the cultural and other issues which contribute to illegal and unethical behaviour becoming, by all accounts, normalised. Small wonder then that transgressors lost sight of the way their actions would be construed by 'outsiders'. No matter which slant on the events speaks more loudly to you, a common thread emerges. And that is that, living in their 'bubble', the key players became cut off from basic ethical, legal and moral touchstones. They were either wrapped up so completely in a toxic culture that they cared not about their own wrongdoing, or miscalculated so completely the magnitude of their crimes that they were caught unawares by the outcry when they were exposed. Whether their moral compasses became warped by self-interest, desensitized by over-exposure, corrupted by arrogance, distorted by a misguided sense of 'right-doing', thrown awry by peer pressure - or all of the above, is a question for others to answer (or at any rate, for a different blog). But one thing that was clearly lacking here and could have made a real difference - if not to the behaviour itself, then to the subsequent 'mis-steps' in owning up to it - was objective outside advice. Akin to a giant magnetic pole, the right advice can unfailingly indicate where the 'due north' of acceptable legal (at the very least), ethical and moral conduct lies. This in turn can better prepare one for owning up and ultimately, one hopes, making amends. Because the fact is, even for those with the best of intentions there's real danger in making judgements using only the sounding board of one's own peers. Consulting only those whose interests are closely aligned with your own is a great way to get the answers you want. It's also a great way of cementing yourself into a giant, artificial bubble which, when it bursts - as bubbles do - is likely to create one giant hell of a mess. The morals of the story are many. But I am highlighting just one. If in doubt, don't close ranks. Instead, throw open the doors to objective counsel and trusted 'outsiders' who can provide fresh perspectives. At best, they can help you stay a 'due north' course. Should the worst happen, they can help you minimise the mess. How to get social. Stat.